This post may contain affiliate links. That means if you click on a link and then make a purchase, I will receive a small commission to help me run this site. Your support is appreciated. A former coach actually said those words to me when I shared with her what I am about to share with you. Yep. She said I sounded too smart. And I almost believed her. So I am super excited to share the theme for 2017. Strategic Family Management. This year is going to be all about strategy. As a former corporate project manager, this excites me! I love to see a plan come to fulfillment. For some, this may sound a bit contrived and sound like overkill. Strategic plans are for businesses and organizations. Do I need one for my family? YES! A big fat resounding, YES, you need a plan to create the success and outcomes you want for the most important organization in your life. Your Family! After reading Patrick Lencioni’s book The 3 Big Questions for a Frantic Family I realized that the skills we often use to achieve success on the job, in leadership roles, and in business are the same principles needed to create the happy, healthy family environment we desire. That’s how the Strategic Family Management approach came to be. I combined the tools I used as a corporate project manager for Fortune 500 companies and converted them into a system you can use with your most precious investments. Gaining a handle on each of these areas changed my family for the better in so many ways. And it can change yours too. And I can’t wait to see the way your lives and families are changed for the better. Managing the calendars and schedules of everyone in your family can be a challenge. Especially if your little people (or not so little people) rely on you for transportation. The Strategic Family Management approach to scheduling includes using both monthly-at-a-glance and weekly planning tools. You can easily spot conflicts and calendar challenges before they become a problem on the monthly view and work out the specifics, details and set reminders in the weekly view. We never overbook or miss appointments with this approach. My preferred scheduling app is Cozi Family Organizer. It’s a well-accepted notion that the number one stressor in relationships is money. It’s been studied, researched and documented time and time again. Having a handle on your finances and being open and honest about it with your spouse is a critical aspect of Strategic Family Management. Using a monthly budget, an allocated spending plan, the 52 Week Saving Plan, and the envelope cash system you can take control of your family’s finances like I did. Discovering and developing your child’s unique brilliance is a parent’s most delicate responsibility. We all want our children to be successful in whatever they choose to do. And sometimes we wear ourselves out in the process of finding where they excel. Strategic Family Management includes the use of Multiple Intelligences Theory to identify you child’s strengths. Couple that with their interests and your ability to fulfill the necessary obligations. Voila! Your priorities are set and your #SuperKids will be on they way to super stardom. The most important aspect of any relationship is communication. And not just saying words that you want to say, but actually expressing your needs in a way that the other person can receive, understand and accept. Knowing how to engage each individual member of your family is also important because we do not all communicate in the same way. In any given interaction a person’s response is based upon their love language, the level of emotional intelligence and their personality. 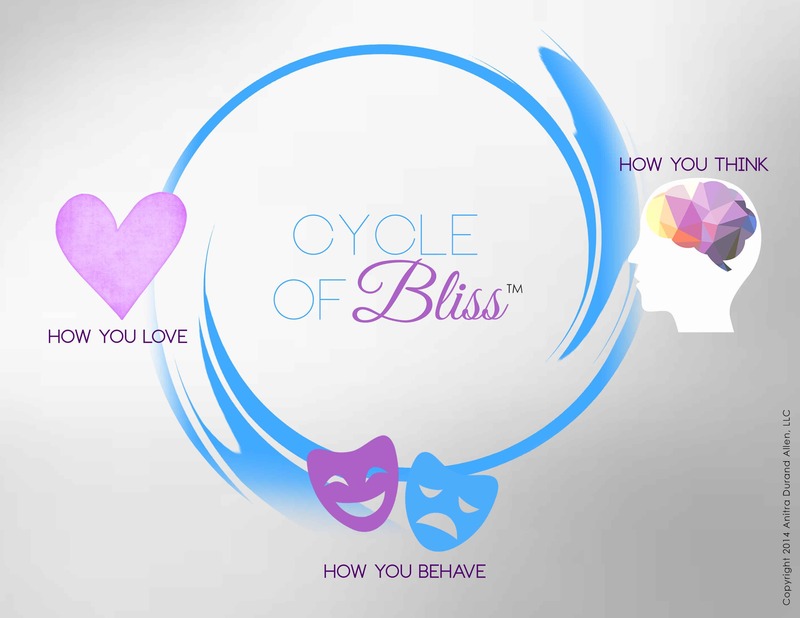 Understanding each other’s Love Languages and using The Cycle of Bliss will help your message to be heard each time you have a conversation. 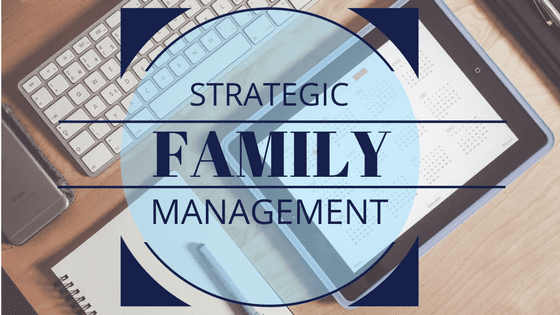 How will Strategic Family Management help you take control of your family and create the success you desire? Universal Translation Solutions is a specialist in qualified translation solutions. Thank you so much for this article! I really need to get better with planning and time management. All of this is so necessary! I love cozi’s calendar. One of my friends told me about how she and her husband use it to stay on the same page and help each other pick up things from the store. Great information and suggestions. Life can become so hectic. It’s necessary to be strategic in this way. I’m all for it. Really interesting! My husband and I have talked about this a lot, that raising our kids to be good people, who handle their responsibilities and communicate the right way is setting them up for how they will be as an adult. It is all connected. Love the idea of balancing needs and priorities, very important! I can’t believe she said you sound TOO SMART! Seriously, who says that? I love how you’re using the word strategic… Everything being done with a purpose and for a reason. This is such a great idea! She did. And I almost believed it. She was thinking from a marketing and sales perspective, but yeah, I was taken aback. Without a strategy, you’re directionless. That’s not a good place to be. It is so important to have good communication whenever a family situation arises. We allow each other the time to speak and be heard. I know this is something that has been super helpful for us. It’s definitely a good time of year to establish some better scheduling and money habits. I could probably improve in a lot of areas. There’s always room for improvement, no matter how poorly or how well we’re doing! Take the plunge! This is pretty amazing!! I am always striving to be a more organized mom and housekeeper. Be sure to stay tuned throughout January! We’re sharing strategies and tools to cover each area. I have been “managing” a family of 6 for the past 17 years and the one thing I have learned along the way is that NOTHING stays the same. What worked last month might not work this month so I try and be rather loose in our planning in all areas. That’s the beauty of planning, you can always change it! Starting with a framework is essential to a plan, because as you’ve said, something always changes! I am working on organization this year, in all aspects of my life. I have used Cozi before and found it helpful. I may have to revisit that and see if it will work. These are great tips and thank you for the reminder. Organization is key. If you aren’t organized something or someone gets forgotten. ALWAYS! Get organized and get more done! I am all about organizing the family and our affairs. These are great reminders and tips! Thanks! Be sure to stay tuned for more! How can someone even open their mouth to say someone is “too smart”? That is insane to me. I like the idea of strategic family planning, and the app makes it seem simple and not like another task. She did. And as preposterous as it sounds now, I don’t begrudge the immense amount I learned from her. She just didn’t get where I was, because she was in a different place. I treid Cozi twice and it just could not get into it. We use Google calendar to sync everyone up. Thanks for these great tips. These are EXCELLENT TIPS and I know for a fact that my family could benefit from this! Especially the budgeting and scheduling!! I love this! I plan most everything. We have a family mobile synced calendar and other tools that we need to stay in the loop and stay communicating as we should be about the important stuff. It’s so important to stay on top of it! Which shared calendar ae you using? Love this! I am a big planner, so coming up with a plan and then executing it is right up my alley. I definitely need to get better at calendar management between my husband’s and the family calendar. Great post! Cozi is a great way to do. You don’t have to be on the same email platform for it to work. That’s the best part for me. This sounds like an awesome plan. I need to dig into the envelope system though. I’m definitely intrigued. I’ll be sharing more budgeting tips coming up soon. I thought it was crazy and cumbersome at first, but it works for us now and we’re used to it. AND we spend less. I really need to learn and try this enevelope system for budgeting. I have heard so many good things. 2017 is my year to budget and save all my money! Thanks for sharing. Be sure to stay tunedd for the budgeting posts coming up soon. The envelope system requires a mind shift, but it works.